Numbers have a power to determine what happens in relationships, health, finances, and life in general. Energy Healing – Your Key to Discovering Just How Amazing Your Life Can Truly Be! Are you delighted and at peace with your life? Is it the life that you actually want? If you haven’t created that life of your dreams and you want to build one, know that the Universe has guided you to the right destination. 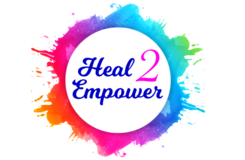 How can Heal2empower help you? Our goal is to empower the mind, to conquer and forgo all negative emotions such as fear, sadness, self-doubt, helplessness and replace it with positive feelings. We make use of powerful and effective holistic healing modalities for helping you achieve this goal. Pari Sagar, the founder of Heal2empower, started her own healing journey. She went on learning different techniques of healings that transformed her into a new person who now unfathomably believes in the power of being in love and living in the NOW. During the healing session, people experience shifts. Her powerful intuitive and empathetic skills allow her to connect with you within minutes of your meeting. The solutions are unique; the treatment you receive is unique. Many of her clients tell that each of her sessions has done wonders for their life. So are you ready to experience that profound transformation now? Book a session with Pari today and learn to empower and manifest the life you dream! You can also learn to empower your life in a deeper way and help others by doing Theta Healing® course in Dubai with us. Click here to know more. Heal2Empower offers self-development training and workshops for Meditation, Numerology, and ThetaHealing® in the UAE. Our students have benefited from these energy healing courses and have been able to let go of the past, forgive and truly love themselves. Through these energy healing courses, we aim to empower the mind, to conquer and forgo all negative emotions such as fear, sadness, self-doubt, helplessness and replace it with positive emotions. Our energy healing classes can be conducted through private sessions and seminars. There are basic and advanced courses for new and experienced practitioners. Through these personalized energy healing classes in Dubai, we aim to help more and more people reach self-awareness and gain the ability to help themselves and the people around them. All classes are private and abide by our strict confidentiality policy. By practising Meditation & Yoga, you are learning to discipline and transform your physical, spiritual and mental being. It not only reduces your stress levels and improves your strength and flexibility, but it aids in harmonising our inner self with the world and bringing forth peace. Numerology is a study of the mystical relationship between numbers and people and life events. Your destiny, life purpose, and future potential can be uncovered by reading of your fate number, name number, life path number, personality number and soul urge number. ThetaHealing® is a meditation technique and spiritual philosophy. It is a method for training the body, mind, and spirit which empowers you to overcome beliefs that restrict your full potential. It enables you to live a life filled with positive thoughts and energy. With key focus on prayer and meditation, ThetaHealing enables people to create and sustain a positive lifestyle. Unlock the power within you! Learn more about our ThetaHealing® Course.